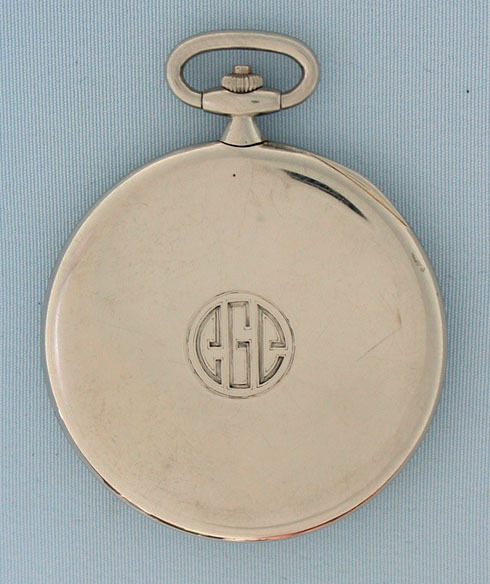 Fine and very rare slim Swiss platinum Art Deco shutter watch by Ekegren/Koehn circa 1925. 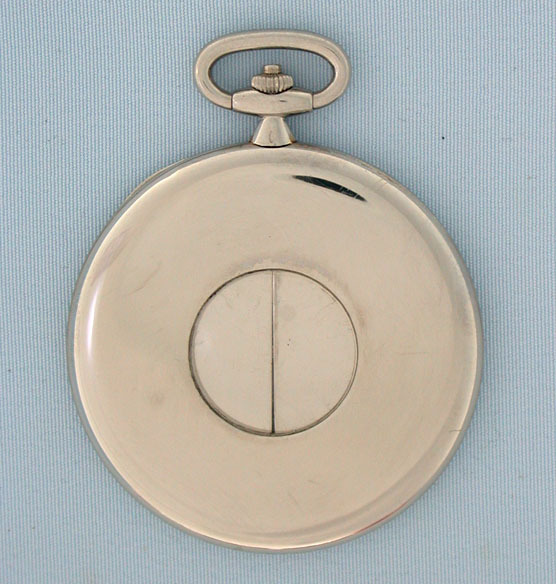 Plain polish case with small time dial concealed behind a shutter opened by depressing a button in the crown. 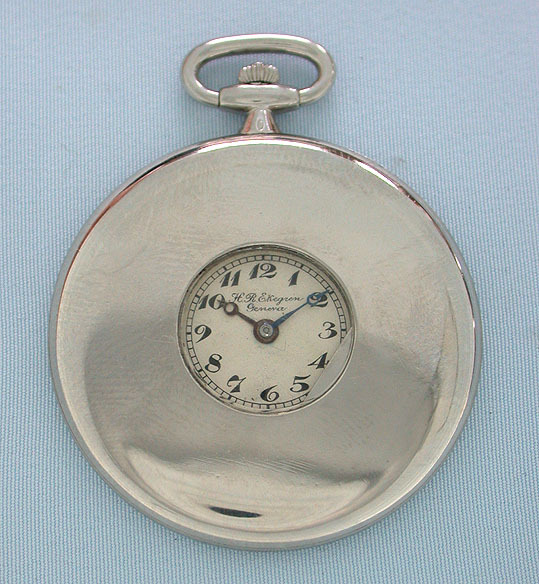 Silver dial with black numerals and blued steel hands. Slim first quality 18 jewel 8 adjustment movement. Elegant. Edouard Koehn (1839 - 1908) was clockmaker to the court of the Grand Duchy of Saxe-Weimar-Eisenach. 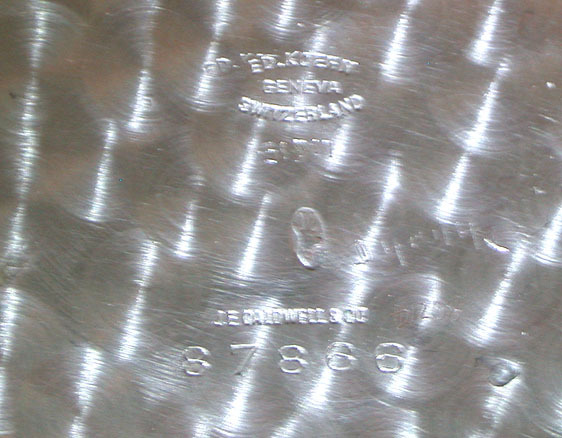 He moved to Geneva in 1859 where he was an employee and later a director of Patek Philippe. 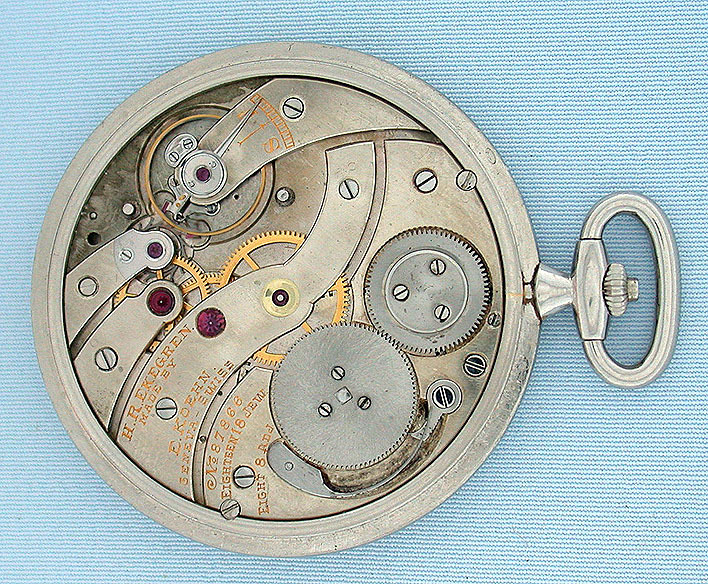 In 1891 he took over the firm of Robert Ekegren which was known for the manufacture of extra flat and complicated watches.